Download this tip sheet on preschoolers and aggression for Comfort, Play & Teach tips on coping with and preventing aggressive behaviour in your child. 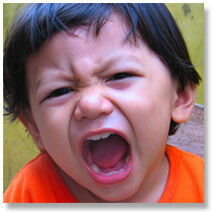 Check out the Preschoolers and Aggression Video for more on this topic! Do you have an aggressive preschooler? Ask our experts for more information about handling it. Or leave a comment below about how you've handled aggressive behaviour with your child.